Pre-orders for PSVR’s Moss went live earlier today. Today has been a big day for PlayStation announcements. During Sony’s Paris Games Week media showcase, lots of new indie games were announced, with other known titles revealed release dates. One such title was Polyarc’s upcoming PSVR adventure Moss, which was originally scheduled to launch this year, but has now has a confirmed release window of February 2018. What Sony’s showcase didn’t mention was that Moss pre-orders went live earlier today as well. 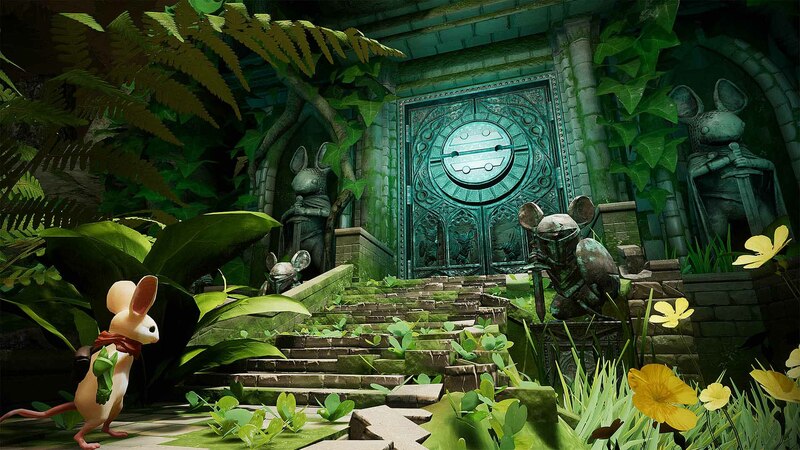 Fans of the adorable mouse hero can now pre-order Moss from either the PlayStation Store or GameStop for $29.99 USD. Note: Although the PlayStation Store page has Moss releasing in December, this date is incorrect. Moss has a confirmed release window of February 2018. Those who pre-order digitally (in North America) will also receive a dynamic Moss PlayStation Theme as well as a Quill Avatar. Additionally, Polyarc has released a range of limited-edition Moss merchandise on their website, including t-shirts, mugs, pins, and posters. If you missed Sony's Paris Games Week media showcase, you can check out the snippet about Moss in the video below. Moss looks like a charming game, especially after seeing Quill’s sign language capabilities. We are looking forward to what Moss has in store in 2018. If you have yet to dive into the realm of virtual reality, perhaps Moss on PSVR will be a good place to start.